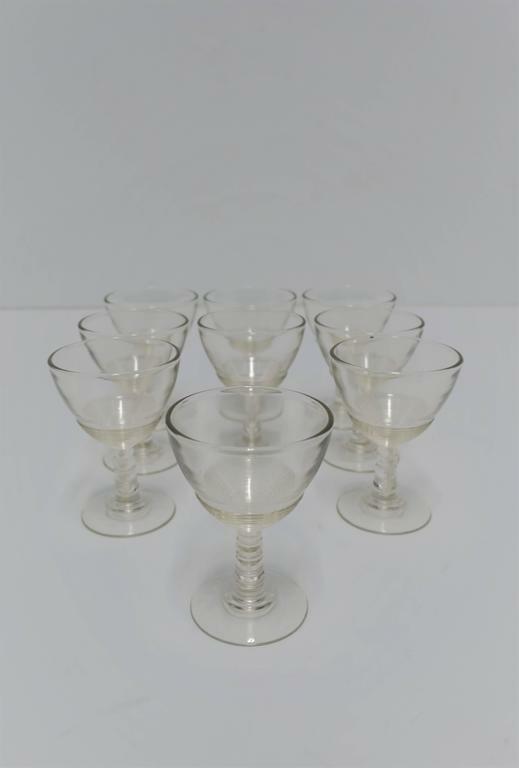 Set of nine beautiful Modern clear glassware set. Ribbed detailing and ball stem. 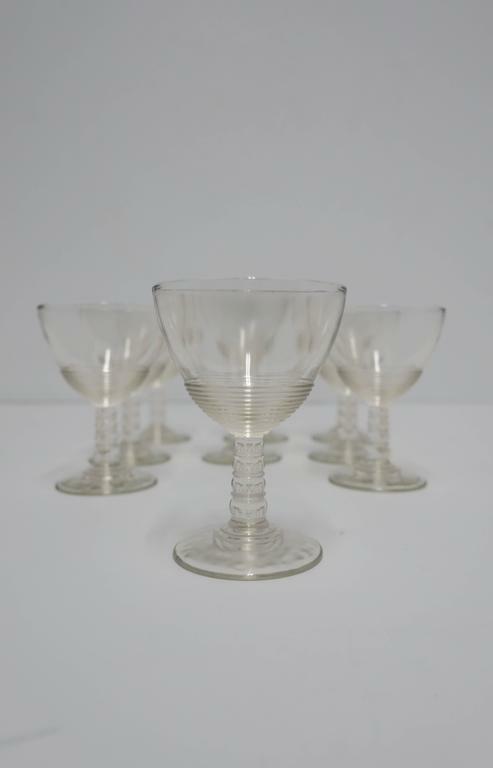 Great for Champagne or other wine or spirit, circa 1920s. Each measure 4 in. H x 2.75 in. diameter. 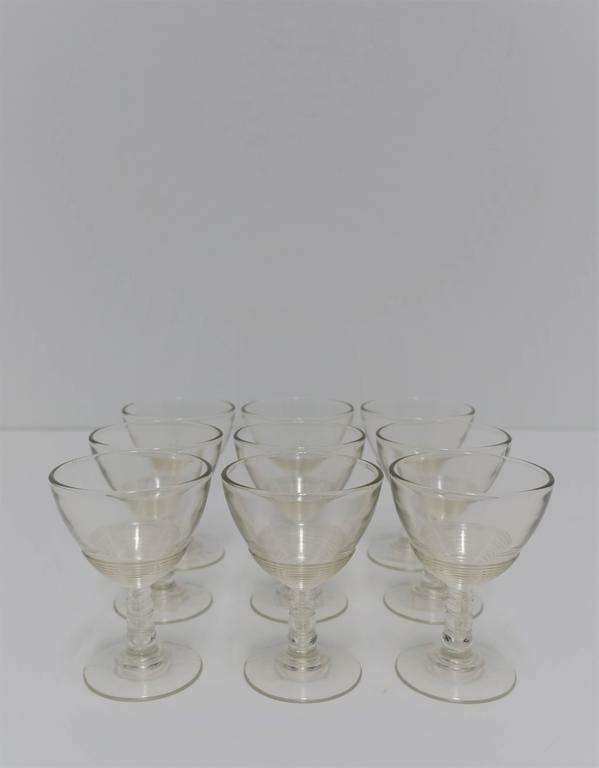 Vintage baccarat crystal wine / water glassware set of 12 pieces. Each glass is in excellent condition. 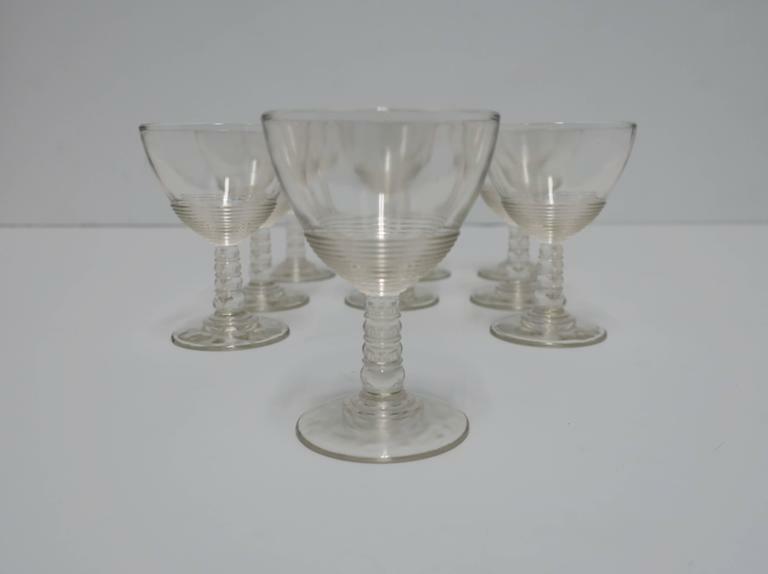 Each glass measure about 7.3 inches high x 3 inches bottom diameter. 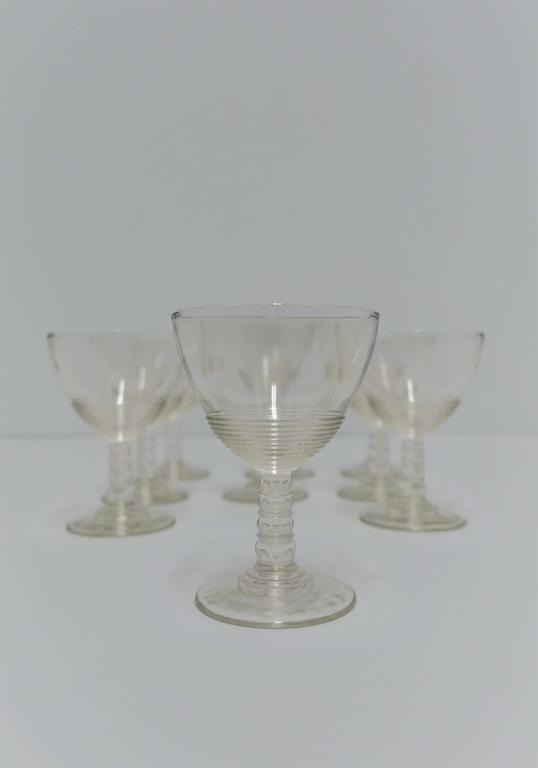 Mid-20th century Baccarat glassware champagne coupe. Each glass is in excellent condition. 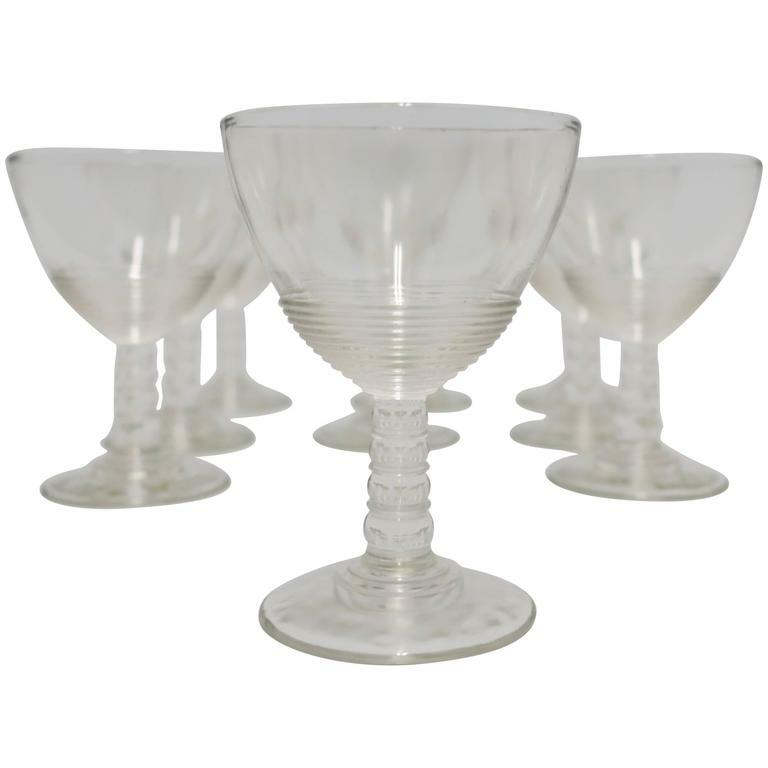 Each glass coupe measure 5 inches high x 4 inches top diameter. Maker's mark undersigned. 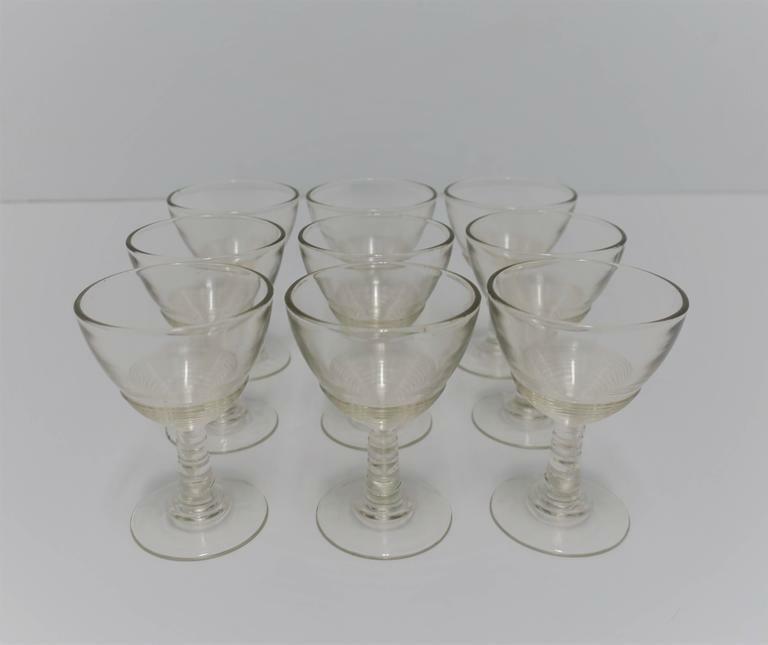 Mid-20th century Baccarat crystal wine / water glassware set of 12 pieces. 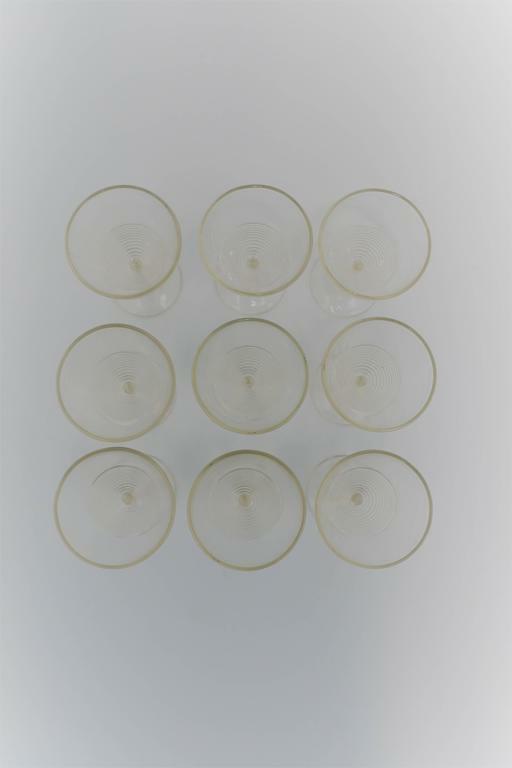 Each glass is in excellent condition. Each glass measure 7.5 inches high x 3.5 inches bottom diameter. 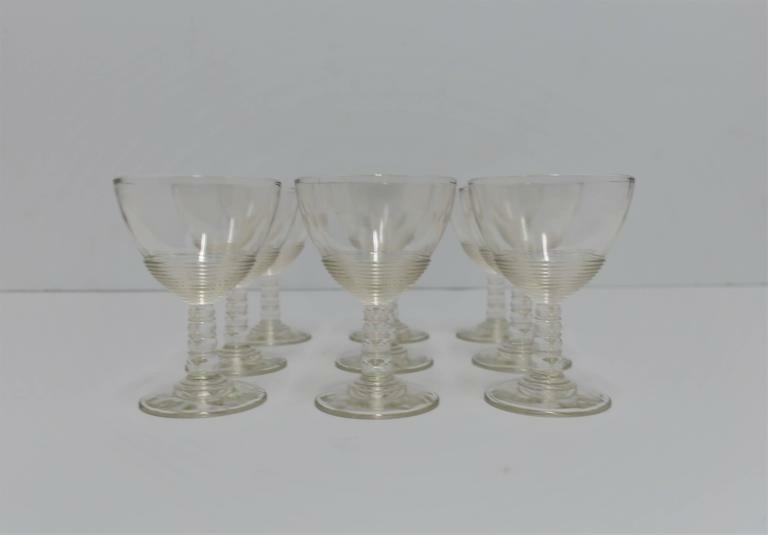 Mid-20th century Baccarat crystal wine glassware set of 11 pieces. 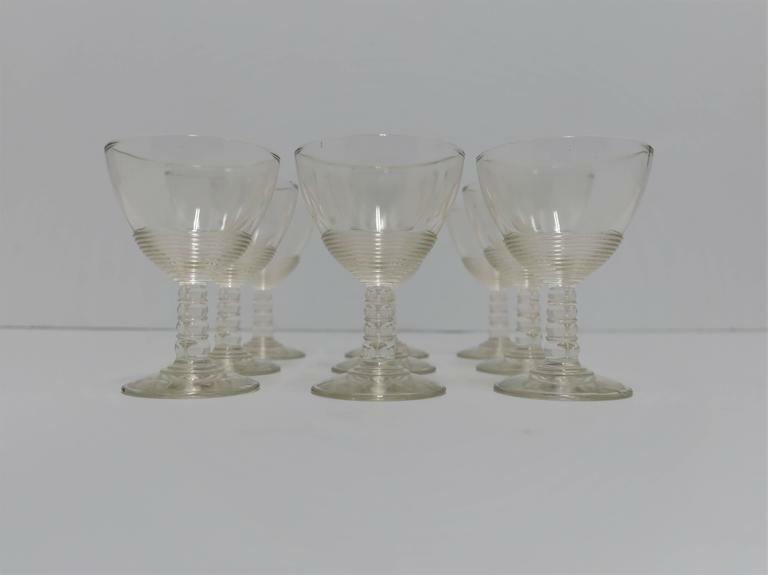 Each glass is in excellent condition, each one measure 6.3 inches high x 3 inches bottom diameter.